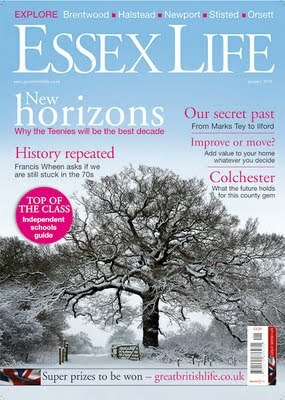 You wait ages to be published and then two come along at once. 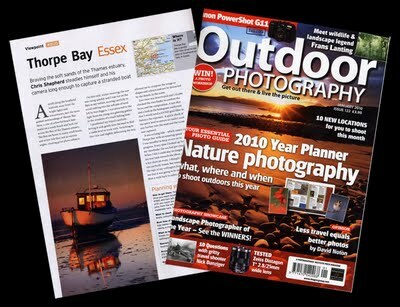 The January edition of the excellent UK magazine Outdoor Photography has an article by yours truly on Thorpe Bay. This is the image used in the article. Saturday morning I spent a pleasant time, covering people attempting to break the world record for tree planting. It was a lot of fun, though I am glad I was only taking pictures and not actually doing the digging as that looked like hard work. The team did really well to plant over 20,000 trees in sixty minutes. Unfortunately all though that broke the World Record their total was beaten by the other two teams involved in the day. Although they didn't beat the record, they have created the beginnings of a new wood. Hopefully all the volunteers will be able to wander through that wood in twenty years time and enjoy the results of their hard work. 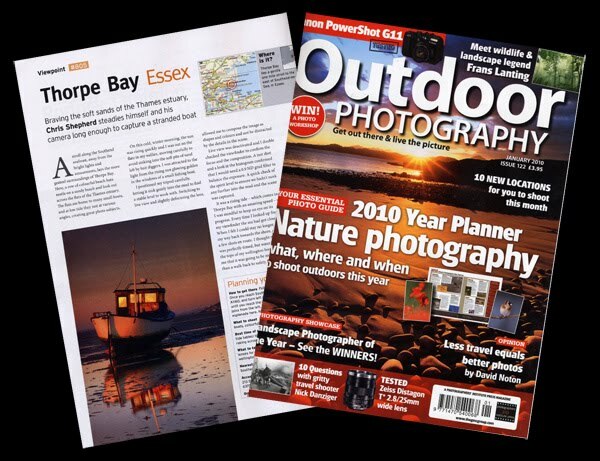 I recently came across the work of Cambridge based photographer, Jane Goodall. I was blown away by many of the images on her site . So I thought I would share them with my friends.